Two free-to-use charge points have been installed in Henley-On-Thames, marking the town’s first charge points. 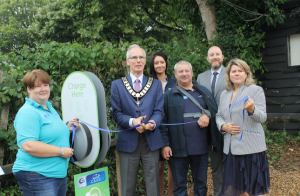 Unveiled by the Mayor, the two new charge points in Henley-on-Thames are free to use for members of the public for up to two hours. Located at the David Bray Motor Engineers Ltd garage on Greys Road, the two points have been installed by POD Point following a rise in demand in the local area.